Every web site needs a home. Just like parking your car in a garage, a website needs to be parked on the web. This is the physical location of all the files that make up the web site on a server. Prices of hosting vary from free to expensive. Just like many other things, you get what you pay for. Free web hosting is good if you have a personal web site for friends and family, but they are not very reliable and shouldn't be used for business purposes. Our web hosting platform is ideal for business use. Our Full Service Hosting plan includes everything that comes with the basic plan, plus maintenance and monitoring services. 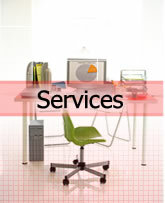 Maintenance services encompass any changes or updates that you might have to your website's text content or images. Monitoring services include constant observation of your website's activity to ensure that it is always up and running. Under this plan, your website will be fully managed from start to finish and you can worry about more important things, like your customers.